We've just returned from a bit of a research holiday around Herefordshire and Wales so it has been a long time since I posted on this blog. 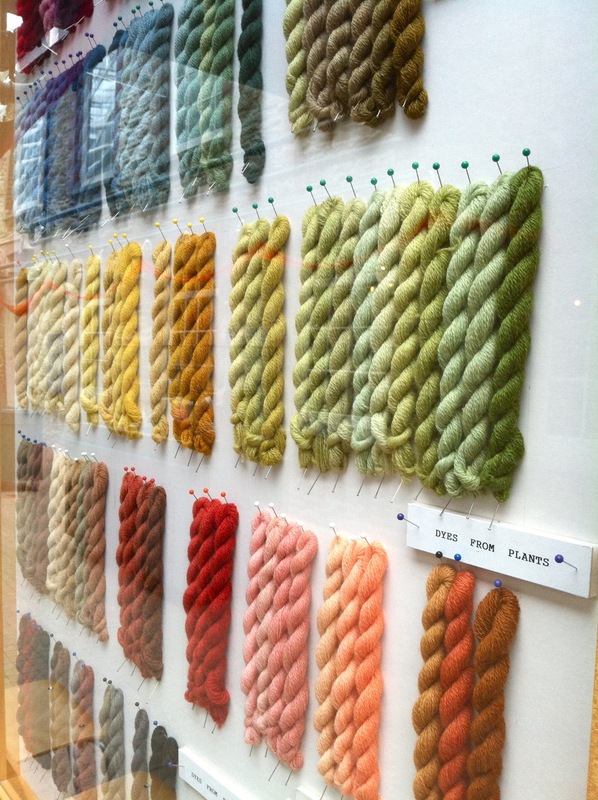 I'm slowly trawling through the mountains of blog fodder I gathered on this trip which included visits to many a woollen mill, a knitting design weekend and tours of various eco communities. To start off I just wanted to post a couple of beautiful pictures of an incredibly inspiring spectrum of naturally dyed wool skeins. 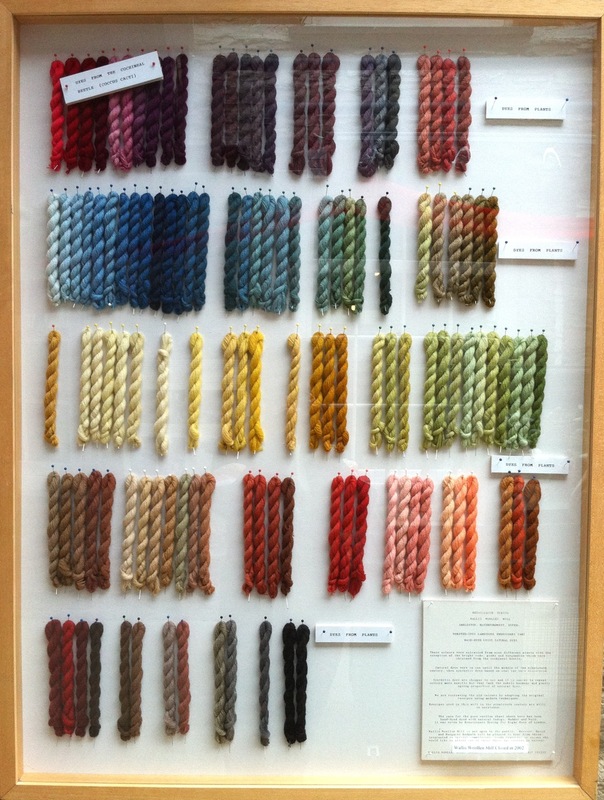 We visited the National Wool Museum in Wales where these lovely little specimens were on show. They were created by the Wallis Woollen Mill, Dyfed, Wales which closed in 2002. The plaque reads "These colours were extracted from nine different plants with the exception of the bright reds, pinks and burgundies which were obtained from the cochineal beetle. Natural dyes were in use until the middle of the nineteenth century, when synthetic dyes based on coal tar were discovered. Synthetic dyes are cheaper to use and it is easier to repeat colours more exactly but they lack the subtle harmony and gentle ageing properties of natural dyes. Recipes used in this mill in the nineteenth century are still in existence today. " Gorgeous colours. I'd love to visit.